Déjà vu… those living along the Gulf Coast are watching very closely a formidable storm that is positioned just south of Cuba. Hurricane Gustav a category 4 storm with wind in excess of 150 mph will make landfall somewhere along the Gulf of Mexico within 48-60 hours. Just yesterday was the 3rd year anniversary of Hurricane Katrina that made landfall along the Mississippi / Louisiana gulf coast on August 29, 2005 leaving in its wake a path of death and destruction. To not make preparation for such an event could leave one seriously lacking if not consumed. Living along the gulf coast of Alabama, during the months of June through November bring the high probability of experiencing a hurricane at some time or another. Atmore is positioned approximately 45 miles inland. This has always been somewhat of a reprieve when the storms do move inland, but on September 16th, 2004, Hurricane Ivan, a category 3 storm (130 mph + winds) made landfall just west of Gulf Shores Alabama just after midnight. There’s an ominous spirit about these storms, especially when they make their way inland in the black of night. During the course of the night the storm trekked due northward placing Atmore on the Northeast quadrant of the storm. For those readers unfamiliar with Hurricanes, the Northeast section of the storm eye wall is the most powerful; hence the saying “the northeast is the beast” All the towns in this track of the storm experienced winds of 120 – 130 mph for in excess of 3 hours. Needless to say, the morning’s light brought to revelation the utter devastation that was not such seen for over 100-year. Yet in the midst of catastrophic property loss, we can thank the Lord that there was no loss of life. Praise The Lord! The forces associated with the storms of nature pale in comparison to the awesome power that is possessed by God. The seven hours spent in the darkest of night, listening to the wind howl with the ferocity of a train and hearing the trees fall with the thud of certain devastation, makes one consider, if it were not for The Lord’s mercy and grace, the frailty of man would be consumed amidst the storms adversity. It gives one ample opportunity to consider, what and why is this happening and what can be taken away from this experience? Nahum, chapter 1:3-6 says “the Lord is slow to anger and great in power, and will not acquit the wicked; The Lord hath his way in the whirlwind and in the storm, and the clouds are the dust of his feet. He rebuketh the sea, and maketh it dry, and drieth up all the rivers: Bashan languisheth, and Carmel, and the flower of Lebanon languisheth. The mountains quake at him, and the hills melt, and the earth is burned at his presence, yea, the world, and all that dwell therein, who can stand before his indignation? And who can abide in the fierceness of his anger? His fury is poured out like fire, and the rocks are thrown down by him”. So from God’s word we can surmise that God has a plan and purpose in the storms of life. For the sake of application I want us to consider two storms that are recorded in the scriptures. The first is found in the gospels of Matthew 8:23-27, Mark 4:35-41 and Luke 8:22-25 We will see the Lord used this storm to shore up His disciples faith, hence this was a Storm of Faith. In this story we find the disciples with our Lord in a boat crossing the Sea of Galilee. In the midst of the sea, there arose a great storm of wind, insomuch that the waves beat into the ship. The gospel of Luke states the storm was so treacherous that “the ship was filled with water and they were in jeopardy”. The disciples were afraid and came and found their Lord asleep in the hinder part of the ship. Their question was “Master, carest thou not that we perish?” I must admit, I can understand their fear, especially in the midst of the storm. At three o’clock in the morning when the winds are beating vehemently upon your home and trees are falling in through the roof on your house, it’s easy to wonder, does the Lord realize what is going on, or does He even care? In the case of the storm on the Sea of Galilee, He calmed the sea; “Peace Be Still” and the sea ceased its raging, but some times He allow the storms to rage on that we might find Him faithful. Rest assured, if He does not calm our storm He carries us through it HE IS FAITHFUL. His faithfulness is found in His Word. In Mark and Luke’s account, we see that Christ said to His disciples “let us pass over to the other side of the lake”. The Word of God had already determined that they were to arrive on the other side. Nothing was capable of keeping God’s Word from coming to pass. So it is with the Will of God for our lives. God will faithfully carry us through the storms of life that we might be about His purpose in us. cf: Hebrews 13:20-21. HIS WORD IS TRUE. The second storm I would like for us to consider is found in the Old Testament Book of Jonah. The story is found in Jonah 1:3-15. In this storm God’s fury is meeted out on a prophet who was disobedient to the simple command to go and “preach unto Nineveh the preaching that I bid thee”. Oft times in God’s word we see willful disobedience and rejection to God whether it is by an individual or a nation results in that individual or nation is subjected to a Storm of Fury. In this storm, God uses it to get Jonah’s attention. God’s instruction to Jonah was simple- “Arise, go to Nineveh, that great city, and cry against it; for their wickedness is come up before me”, but Jonah rose up to flee from the presence of the Lord. Because of Jonah’s disobedience, not only was he affected by the storm, but all those that were with him. While the storm is raging we find the mariners afraid and working fervently to relive the ship of it’s wares, lest they sink and die, but we find Jonah was fast asleep in the hinder part of the ship. 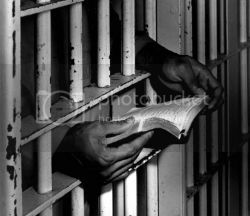 It is a scary picture of a disobedient individual (nation) content and satisfied in their sin. Absolutely no conviction! It is hard to ignore the numerous storms of this hurricane season; is God having His way in the whirlwind and the storm? One cannot deny that we are a nation that has forsaken the True & Living God and are in essence fleeing from the presence of the Lord. It may be that God is attempting to get our attention. In 1 Timothy 4:1-2, “the Spirit speaketh expressly, that in the latter times some shall depart from the faith, giving heed to seducing spirits, and doctrine of devils”. We believe this is a reference to some in the church. 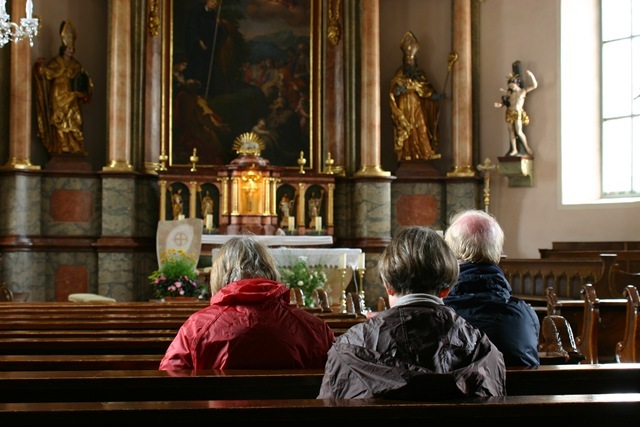 If the church is fleeing from the presence of the Lord and giving heed to doctrines of devils, we can only imagine what the world will tolerate. What will it take for God to get our attention? It says in verse two that their conscience is though it has been seared with a hot iron; a desensitized conscience, which means there is no conviction about their condition. They lay fast asleep in the hinder part of the ship. God has no choice but to send the Storm of Fury. My friend, I would like to leave you with one thought. If you were facing a storm that could devastate not only your well being but that of all of your family, wouldn’t you make the necessary preparation to have everything that would hopefully sustain you through this trying event? In the case of a hurricane, we insure we have ample non-perishable foods, water, batteries, candles, that our generators are functional and enough gas to last a week, and most importantly that our insurance policies are current, yet many a folk give no consideration to making preparation in the event the storm takes their life. One must make preparation for eternity and that sustenance is found in none other than Jesus Christ. Please don’t allow the storm of eternity make landfall without having given serious consideration to God’s Messiah…. Yeshua ha Massiach. Please consider. Nancy Pelosi was interviewed by Tom Brokaw on Meet The Press this past Sunday. Question from Mr. Brokaw to Speaker Pelosi..
“If he [Obama] were to come to you and say, ‘Help me out here, Madame Speaker. When does life begin?’ — what would you tell him?” Brokaw inquired. Speakers Pelosi’s answer to Mr. Brokaw.. I think one can figure out the problem here… ‘the doctors of the church’. Pelosi is looking in the wrong place for answers therefore she is finding wrong answers. Ignorance personified! My dad always taught me that if you let ignorance speak long enough, it will sooner or later manifest itself. It can not hide forever as long as the mouth is running. 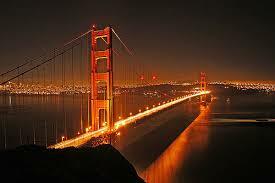 If one ever has the opportunity to visit ‘The Golden Gate City’- San Francisco, they would definitely want to visit the Golden Gate Bridge in all of its splendor, especially during the night time hours. It truly does take on it’s ‘golden’ ascription, in all of it’s glory. One could not visit the city and miss the chance to ride on one of the many ‘cable cars’ that has become a famed tourist attraction for over a hundred years. With the invention of the Segway (two-wheel personal transporter), one may now spend the day touring the streets of San Francisco or Sausalito along the water front at the Fisherman’s Wharf, only to end the day with a visit to the Golden Gate Fortune Cookie Factory. If one is really lucky they will find themselves dinning in at the Cliff House overlooking the Pacific Ocean before turning in for the evening. A wonderful day as a tourist in San Francisco….. eh? All of these events are what has made San Francisco a world renown tourist attraction, and rightfully so, but something has happened, and the city has taken a turn, and that for the worse. San Francisco is now known for much more than the Golden Gate Bridge, the Fisherman’s Wharf, the famed cable cars, Alcatraz and the Golden Gate Cookie Factory. Their reputation has now been soiled with the likes of a rebellious homosexual spirit. 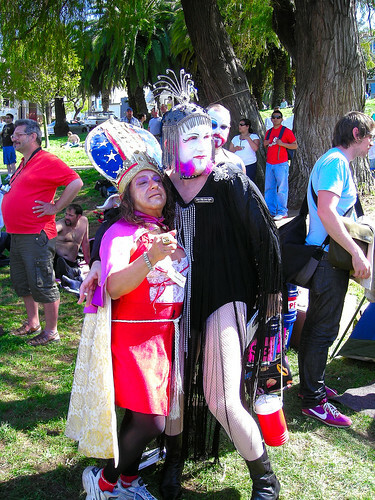 If you make your way along the streets of the San Francisco’s Dolores Park on Easter Sunday, you will find yourself entangled in the vile activities of the ‘Twisted Sisters’ and their (homosexual) likes. Or if by chance make your way down Folsom Street in the neighborhood of 7th – 12th streets, the last Sunday in September, you shall find these abominable acts are not only going on unabashedly before God, but any and everyone walking the streets are exposed to this moral decadence and that even to the eyes of children. It ought not to be my friends. 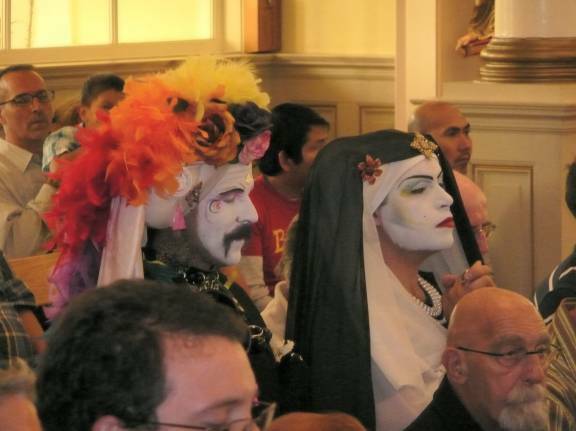 The truth of the scripture is resounding loud and clear, for now San Francisco is working to add to this degradation of spirit that is associated with sexual immorality and moral decadence of the greatest degree. Petitioners have succeeded in getting a measure on the November ballot that would ban prosecution of prostitution cases. 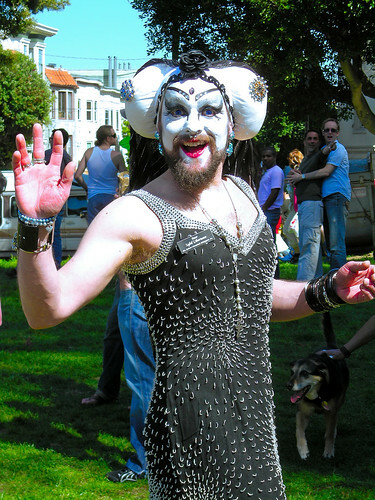 It appears to be no end to this downward spiral of moral decadence that has consumed the streets of San Francisco, until a judgment likened to that of Sodom & Gomorrah. If you have any reservations to the validity of God’s Word, read the historical accounts of Nineveh. His word will not return unto Him void. Is Christianity Dying, and Is That A Bad Thing? As a pastor of a small community church, I was intrigued by the title of the article so took a gander. Now Micah’s post was the results of an article he ran across on Telegraph.co.uk that spoke abut the possibility of Christianity dying within a century in Britain. The article is based upon research conducted by the Orthodox Jewish Organization Aish which said Buddhism seems to be the religion of choice and that over Judaism and Islam. Christianity seems to be taking the biggest hit while Islam is enjoying a season of prosperity and “is expected to increase from one million today to 1.96 million in 2035”. At least from all visible appearance, it looks like Christianity is dyeing! Now Micah’s post took these thoughts and drew some very interesting question…. We can see this is evident in what Jesus told Martha, the sister of then dead (physically) Lazarus. cf:John 11 When Martha met Jesus before He entered into Bethany, Jesus told Martha that her brother would rise again. Martha thought that Jesus spoke of the last day, but clearly Jesus wanted Martha, Mary and all of us to see something that is paramount for those who come to faith in Christ. An interesting footnote to the words of Christ, is that you never find the word death associated with the believer after the resurrection of Christ, for to be absent from the body is to be present with the Lord. So in reality, when a Christian is martyred or leaves this physical realm he / she is not dying, they are just stepping into eternity and that prepared by their faithful Lord and Savior. So if the believer never dies, Christianity can not die. It is only religion that is dyeing and that maybe at an alarming rate. But to think that Christianity is dying is a misunderstanding for he that believes on Him, though he were dead, yet shall he live, and whosoever liveth and believeth on Him, shall never die, believest thou this? Religion is not life, it is death, and how can something die that was never alive? For except a man be born again, he cannot see the kingdom of God. 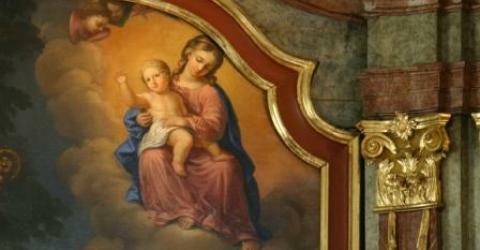 Saudi Arabia: Muslim Father Kills Daughter for Converting to Christianity. The article was posted on 08/13/2008 on Persecution.org International Christian Concern. 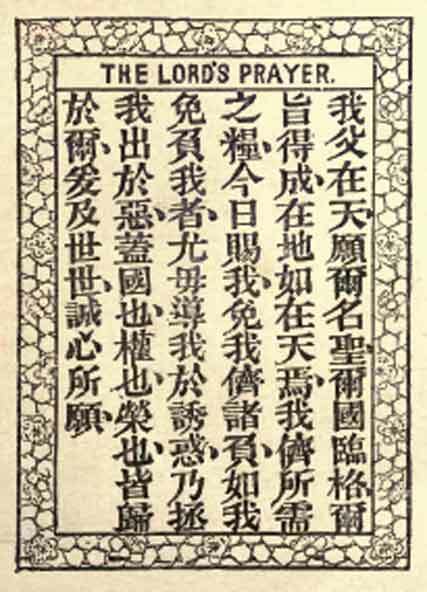 The article states that the father worked for the mutaween (Commission for Promotion of Virtue and Prevention of Vice). Now the religious police massacred themselves under a sorted fronts, but they all have a spirit that is birthed in religion and that of their father, ‘the devil’. They hate Truth and the Lord of it and seek to destroy the Spirit of Truth that has taken up His abode in the children of Truth, while all along thinking they do God’s service, they fulfil the lust of their god ‘the devil’. Pray that the children of Light will stand in the midst of darkness. 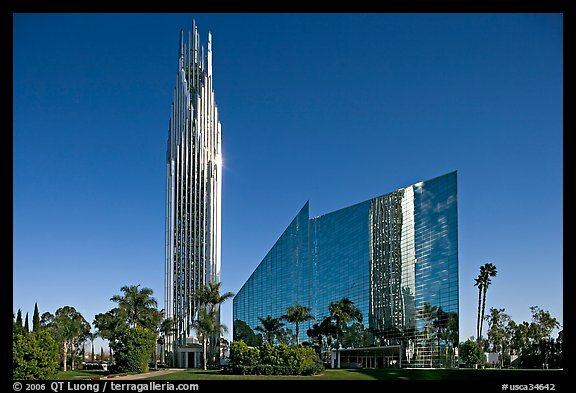 Over 10,000 panes of glass cover Crystal Cathedral in Garden Grove, home of Robert Schuller’s Hour of Power. Judge of heaven and earth, how then should the ungodly be exempted? away from here and go to the gods whom you have served; your beloved lusts which you have worshipped, and the evil world that you have so much coveted and adored. Let them save you now, if they can, from the wrath to come upon you, which is the wages of the deeds you have done. let my last end be like to his” (Num 23:10). patient continuance in well-doing, have long waited for immortality. Such hatred for a man and those who have decided to follow His gospel. In the midst of such hatred Pastor Zhang loves as his Lord commands and the world hates as He said they would. Order your Prayer Bands today! As the Olympics goes on, the harassment of Chinese evangelists continues to increase. Please help remind others to pray for persecuted Christians like Pastor Bike by ordering your prayer bands today! Pray for Pastor ‘Bike’ and those of like faith that meet out such faith for the cause of the gospel.